Online reputation management is a fundamental strategy for running a successful tourism business in the twenty-first century. 70% of consumers look at up to 20 reviews in their holiday planning process (Tnooz), 33% will change their choice based on reviews and (World Travel and Tourism Corporation) and 53% of consumer won’t book a hotel with no reviews. 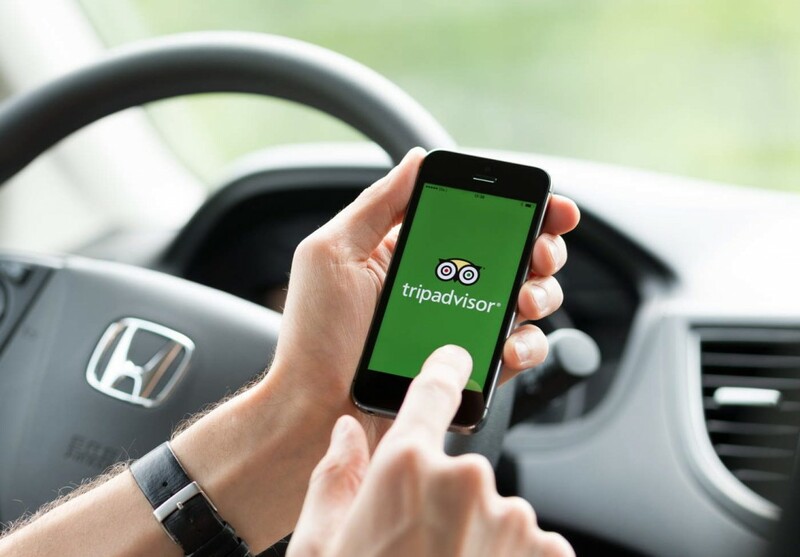 Most accommodation, tour and hospitality operators are aware of the impact of their online review ratings on major platforms like Tripadvisor, but many operators are not taking advantage of online reviews in a proactive way to maximise the opportunities for their businesses. Tourism businesses need to implement a review management plan that commits themselves as managers or assigns responsibilities to team members to monitor all review platforms including Facebook, Google My Business and relevant online travel agency platforms like Expedia. As a tourism business owner or manager you need to be aiming for above an average of 4 star ratings across all platforms, so no matter where their potential customers checks you out, they are seeing a story of quality and a culture of customer service in your business. Your ranking in online reputation platforms is driven by algorithms that focus on the quality of ratings about your business, the number of reviews and the recency of those reviews. So to appear at the top of the page you need to be applying tactics to encourage reviews on relevant websites. Other strategies for turning online reputation management into a positive for your business include responding to every review and knowing the steps to respond to the rare negative review. In Queensland, Australia, the State tourism organisation, Tourism and Events Queensland is leading the way in the industry through the Best of Queensland Experiences program and encouraging operators to achieve a quality standard in their online reputation. It is a mandatory requirement to achieve above an average of four stars to participate in the Best of Queensland program. Tourism Tribe can help Queensland businesses to achieve this standard and to be part of the program. Tourism Tribe has a wealth of resources to help Tourism businesses learn about how to manage their online reputation and online reviews. Tools we recommend are TripAdvisor, Google Local, Bing Local, Facebook, Yelp etc etc. These resources include tutorials, presentations, webinars and support forums. Tourism Tribe members can access a wealth of self learning resources like the Online Reputation Management learning hub and helpful support forums. Tourism Tribe’s support forums give Tourism and Travel businesses the chance to ask questions about anything travel related in a safe, moderated online environment. Their questions are promptly answered by other operators and vetted Tourism Tribe experts. Tourism Tribe’s support forums are very popular. The discussions are categorised by the Tourism Tribe crew and appear in the relevant hubs. You can also engage a Tourism Tribe expert to deliver customised coaching and an online reputation management strategy for you and your team. The program will be tailored to your business and your budget. Speak to us on the online chat or email help@tourismtribe.com for more information. “I recently joined Tourism Tribe. My initial reason was to have an independent professional assess the ‘health and effectiveness’ of my electronic media presence. The audit was performed quickly and was thorough and helpful. A few things I was able to attend to quickly and without assistance. This audit was followed by a 1.5hr 1 on 1 with Fabienne. Wow this session was fabulous. Specifically tailored to meet my needs. We worked through each area for improvement as noted in the audit. This learning was also targeted to meet my specific capabilities in each area. I finished up with a to do list pages long and feeling like I had already achieved an enormous amount in 1.5 hours. I highly recommend this process and support that in saying I learned more in this 1.5 hours than I have in multiple other industry coaching sessions. “Great online community, incredibly helpful support team and so many different online tools. “Recently I attended a tutorial with Fabienne to digitally help my small business. Fabie was very accommodating and knowledgeable. I am extremely pleased with the help provided by Tourism Tribe and look forward to positive results”. “It was good to have specific assessment of our digital presence, and tailored actions to address to improve our business’ visibility online”.